To request an SSL certificate for your server you have to generate a certificate signing request (CSR). This identifies which server will use the certificate, as well as the domain names (common names) you’ll use for SSL certificates. Navigate to Web section. Then select the domain you want to generate a CSR for and click the ‘Edit’ button. Scroll down and enable SSL Support. A new window will open. 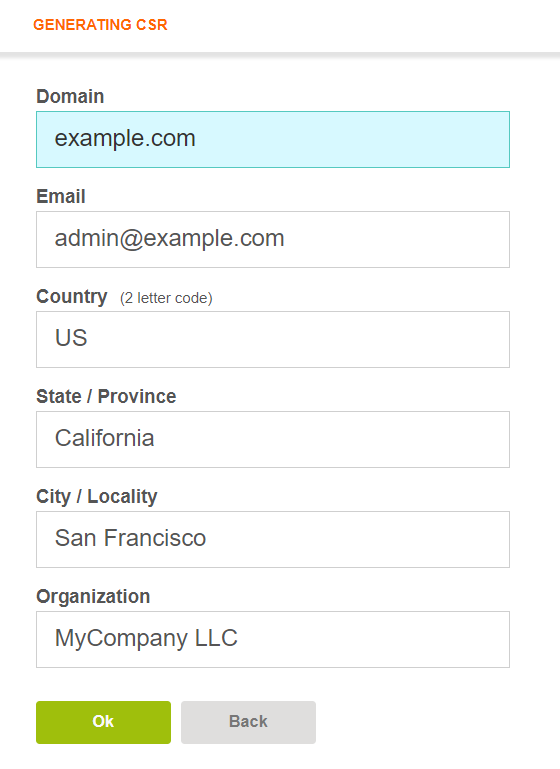 Fill in the details in the form presented and Click OK. Copy and save the SSL Key. You will need this when installing your SSL certificate. The generator actually issued a self-signed certificate. 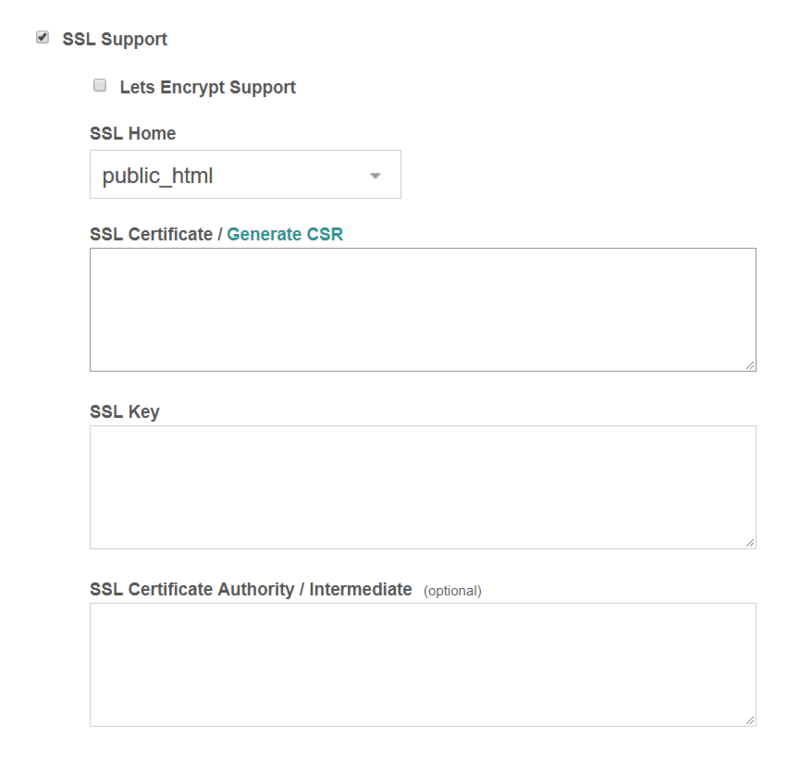 Do you need help installing your new SSL certificate?